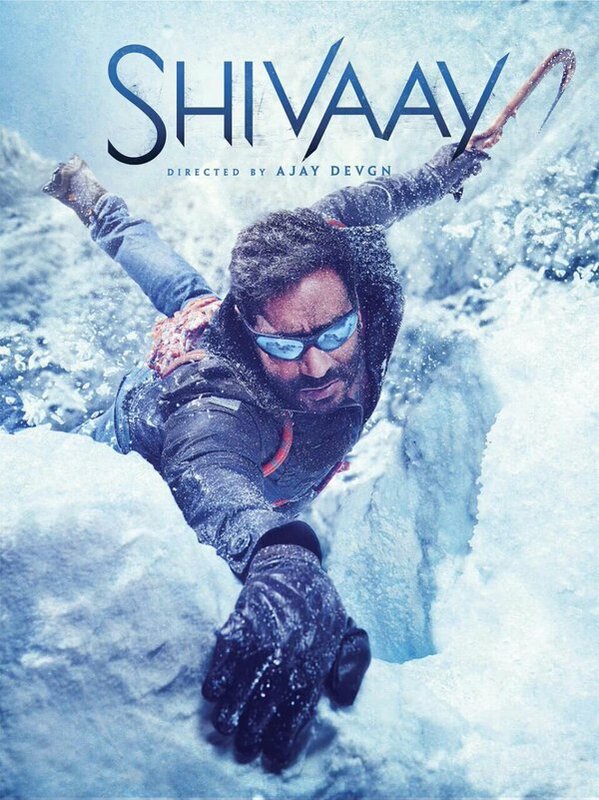 Shivaay is an Indian action-adventure film directed by Ajay Devgn. Co-written by Sandeep Srivastava and Robin Bhatt, Shivaay revolves around a Himalayan mountaineer who is committed to protecting his family at all costs. While Shivaay stars Agay Devgn in the eponymous role, it costars Abigail Eames, Sayesha Saigal, Erika Kaar, Vir Das, Girish Karnad, and Saurabh Shukla. Although Devgn has been a prolific actor during his two-and-a-half decade long acting career, Shivaay is only his second directorial venture—the first being U Me Aur Hum (2008). Two things are required to make a movie like Shivaay. Vision and the resolve to back that vision. Ajay Devgn and team had the belief that the concept is conceivable and that it would work and indeed it does. Kudos to them! Shivaay has one of the best uses of music (Western as well as Indian), diegetic and non-deigetic sound for a commercial Hindi film with the visual and aural elements beautifully playing their respective parts while simultaneously complementing each other brilliantly. But, Shivaay’s USP is its cutting edge VFX, which makes the film a reality. Shivaay begins on a rather slow note. Although, the makers take time to set up the plot and the characters, the adrenaline-pumping action picks up from the word go. If you are an action enthusiast, you would love every bit of it. Also, there is a dash of romance to keep everyone else interested. But, ultimately, Shivaay is a story of a father and a daughter and a major portion of the film is dedicated to developing this relationship. In a world where all the attention is given to the relationship that a mother shares with her child, it is good to see a film reminds us that a loving and a responsible father too can mean the whole world to his child. Overall, Shivaay makes for a rare cinematic experience that looks set to usher in a new age of cinema in the context of Hindi film industry. Finally, I daresay, we look set to challenge Hollywood on the technical frontier. Also, the acting performances are quite convincing overall, especially those of Ajay Devgn and Abigail Eames—the girl who plays Devgn's daughter. 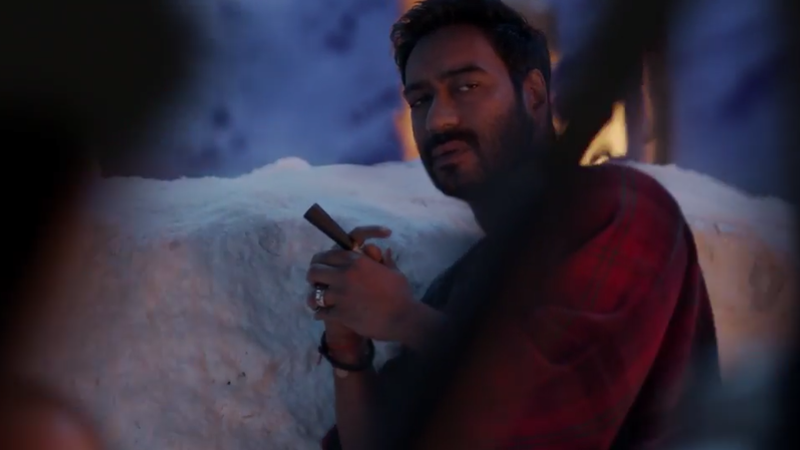 In the film, Devgn’s character is depicted as a rebel of sorts. But he is a rebel with a cause. At a connotative level, a keen viewer can discern the movie’s parallels with Hindi mythology, particularly Shiva. While first half of the movie deals with Shivaay’s exploits as a Himalayan mountaineer where we see him as a preserver of mankind, during the second half we see him as a destroyer of all that’s evil. Perhaps, the best way to savor a film revolving around a larger-than-life character like Shivaay is to suspend one's disbelief. The film may remind some of popular Hollywood action franchises like Bourne/Taken Trilogy. The greatest triumph of Shivaay is that it can be enjoyed at different levels, whether you are an average viewer or a cinema practitioner or even a film scholar. I am going to see the movie at 12.30 show excited but hearing all biased reviews dissapointed. This proves that India is an corrupt country but nevertherless i love my country and proud to be an Indian. I am pretty sure the movie is good and wont bore thats important for me. It's indeed disturbing to learn about the paid propaganda unleashed by a lobby to demean a groundbreaking film like Shivaay! Unbelievable the crap Indian audiences indulge into. First 5 min, I could picture Rambo,GI Joe, Cliff hanger all sitting outside on the footpath Ajay's house eating dalmut looking like complete failures. And what is with the damn swagger. HATED, the movie. And to know this guy did such great movies and Gangajaal.